(Reuters) - Indian shares finished over one percent higher on Wednesday, with the benchmark BSE Sensex snapping a nine-day losing streak, led by strength in index heavyweights Reliance Industries Ltd and Infosys Ltd.
Shares in broader Asia rallied as investors bet the latest round of talks between the United States and China would yield a trade deal, putting an end to a protracted tariff war. The broader NSE Nifty closed 1.24 percent higher at 10,735.45, while the benchmark BSE Sensex ended up 1.14 percent at 35,756.26. 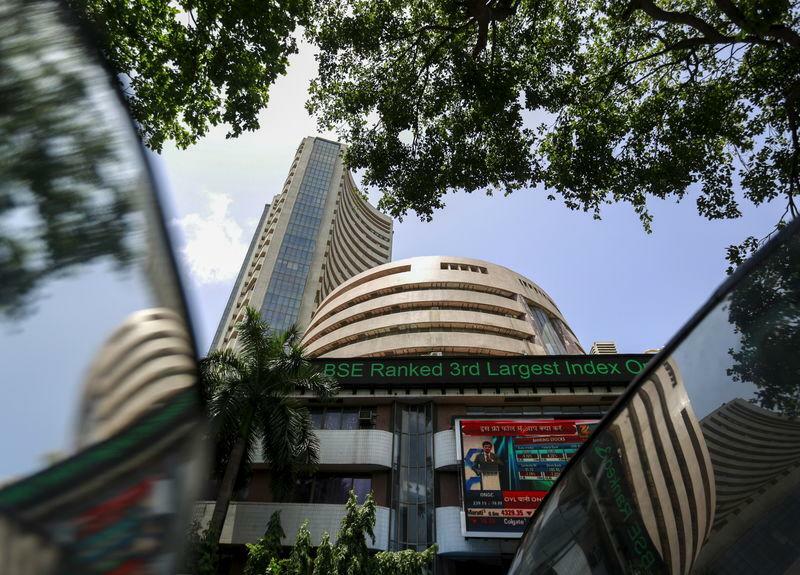 The BSE Sensex snapped out of nine straight days of losses, recouping from its worst losing streak in nearly eight years, while the NSE index recovered after eight consecutive sessions of falls. Reliance Industries finished 1.5 percent higher, while Infosys ended up 2.3 percent.